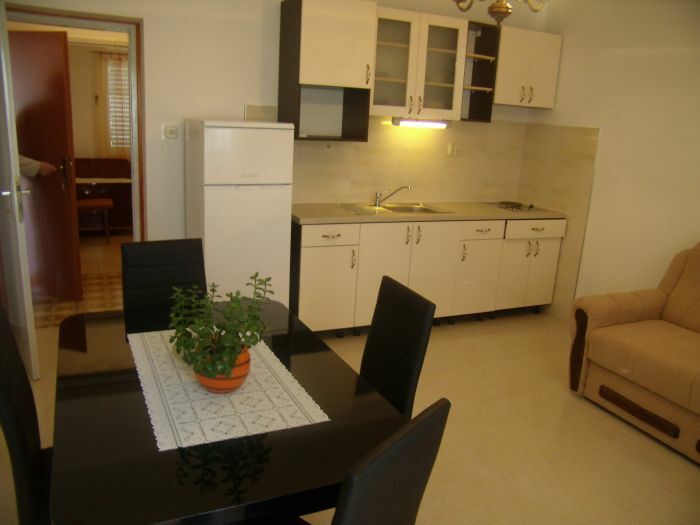 Apartment Miljak is situated in Podstrana between Split and Omis. Thanks to its ideal location the house guests will easly reach many well known places such as Split, the biggest and 1700 years old town in Dalmatia, or a Town-Museum Trogir. 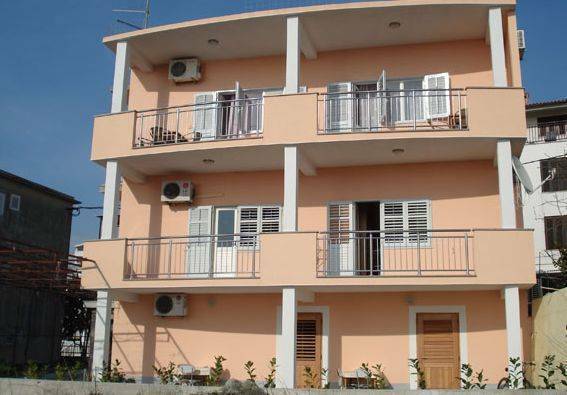 The house MILJAK offers his guests four nice arranged air-conditioned and full equipped apartments with SAT-TV and two rooms. 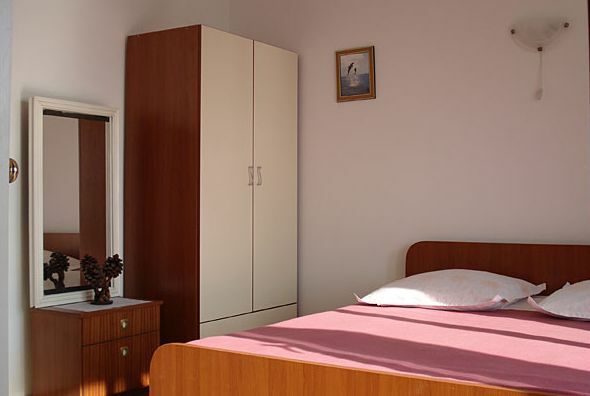 There is apartment for two, three or four persons and room for two or three persons. 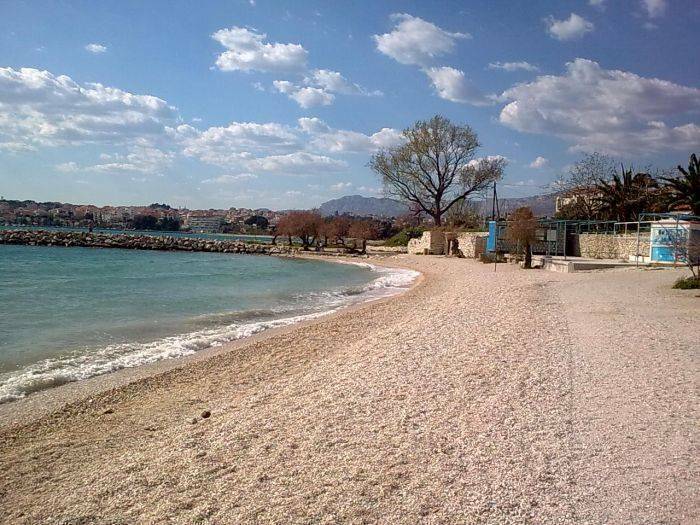 This peaceful place with crystal clear blue sea, calm and tidy beaches, also offers lot of recreational activities such as diving, paragliding, jet-ski, windsurfing, tennis and volleyball playgrounds and bicycle lane in Old Podstrana (historical place with town walls composed of big stone blocks). 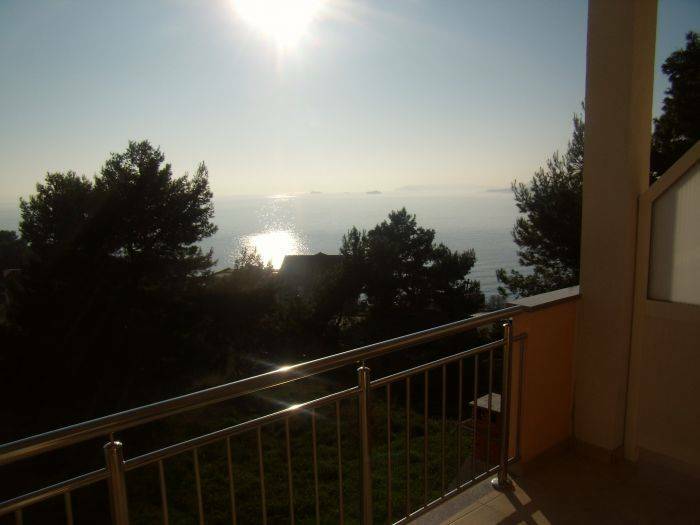 House offers 4 spatial apartments, two of which are on the ground floor an two are on the 2nd floor with wonderful seaview. 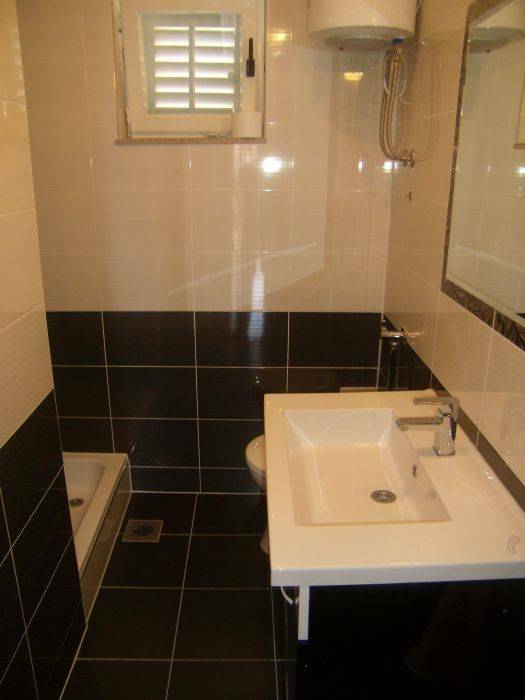 Each has kitchen - full equipped, bathroom and bedroom with one double bed. All are on the south side of the house. Podstrana is an interesting touristic place located just 8 km away from Split which apart from its rich cultural inheritance, olives, wine and peaches, is known for its friendly inhabitants, good cuisine, 9 km of beautiful beaches making it one of the most attractive touristic destinations. A world away, Podstrana is located about 8 km southeast of the city centre Split. It is situated on a picturesque ecologically preserved eastern part of Splitsko-dalmatinska County, just 8 km away from Split. Facing the sea, it spreads over the foot of 533 m high Perun hill and follows a 6 km long intended coast. The inhabitants of Podstrana inherited the natural beauties, mild climate and picturesque landscapes of their region. Distance from the nearest area center: 5 km, Distance from the seaport is 7 km, Distance from the bus depot is 7 km, Distance from the train depot is 7 km, Distance from the closest bus stop is 200 m, Public transportation service: excellent - direct bus line from the city center and back every 30 min.